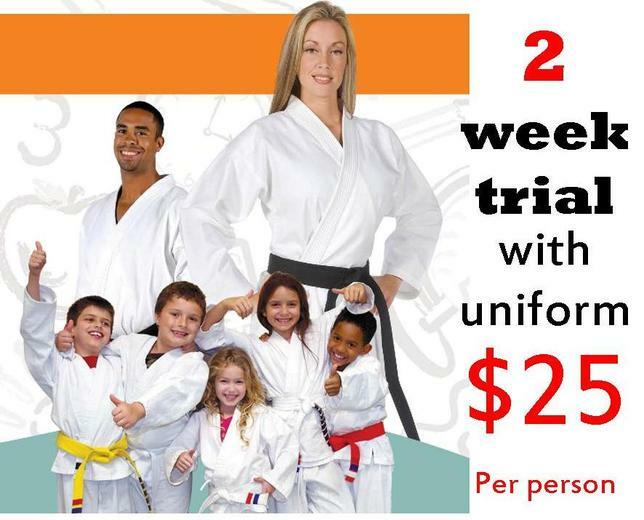 You will receive a two week trial with a full karate uniform with our school logo on the back of the jacket. 2 classes per week for 14 consecutive days. Or pick this one below. 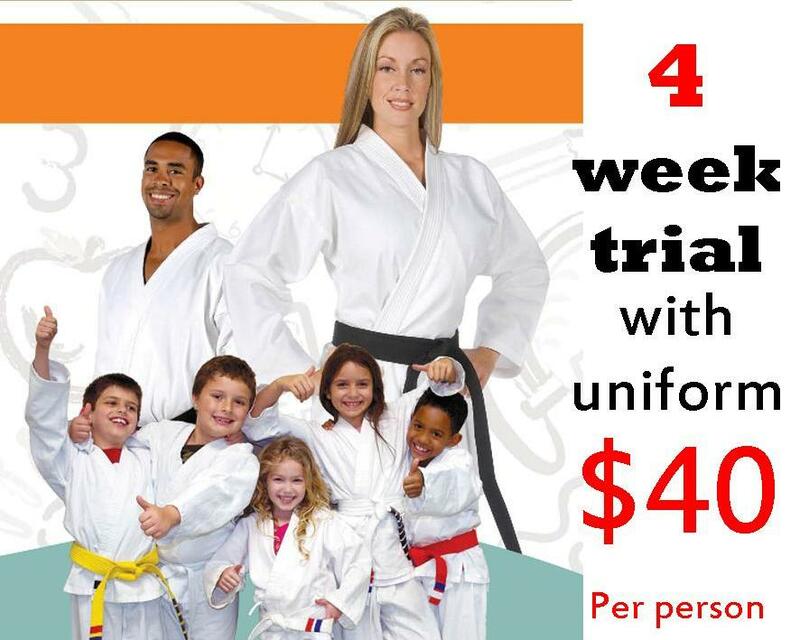 You will receive a four week trial with a full karate uniform with our school logo on the back of the jacket. 2 classes per week for 28 consecutive days.